Our curriculum is a play-based program where children learn and practice reading, writing, and math skills and explore social studies and science topics through games, music, art, fine motor activities, and play. Children are encouraged to engage in creative play. Our creative play area has a combination of activities that remain throughout the year and ones that change monthly to coincide with the Science or Social Studies lessons. We also have a science and sensory area that contains materials related to the science theme. Every day, the children are given ample opportunity to learn about and explore the concepts introduced during the morning lesson. In our Preschool Program, the children are introduced to the alphabet, colors, shapes, numbers, sizes, positional words, and opposites. In their exploration of numbers, children are exposed to identifying numbers, making groups, and counting groups of up to ten objects. Additionally, children are engaged in activities that help to develop and practice their fine motor skills. In our Prekindergarten Program, the children continue their exploration of the alphabet by learning about letter sounds and words. They continue learning more about shapes, positional and size words, and opposites. Their exploration of numbers includes working with groups including up to twenty objects. In addition to continuing to develop and practice fine motor skills, the children begin developing their writing skills. Children in all programs attend a varitety of field trips related to the current unit of study. 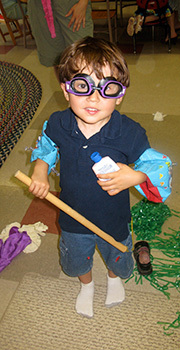 Our preschool has a play-based curriculum that incorporates classroom lessons with our play centers. We have two rooms and each room has it own centers that rotate monthly. Room One has the Library, Writing, Language Arts and Math Centers. Each of these centers has games, activities, and toys that reinforce the skills being taught during Circle time. 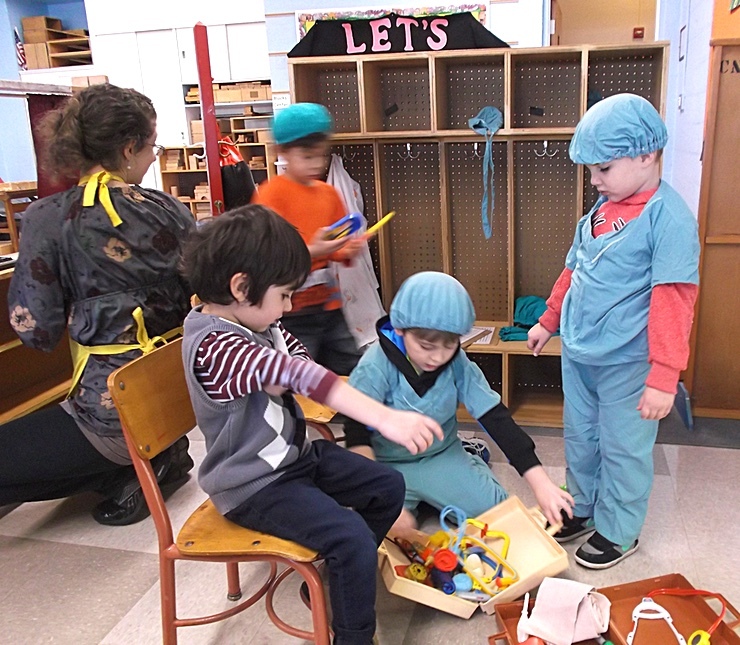 Room Two has Housekeeping, Science/Social Studies, Workbench, Art and Creative Play centers. The Creative Play and Science/Social Studies Centers also rotate monthly and coincide with the lessons being taught. Children learn through their experience in the centers while interacting with familiar adults who encourage their play and learning. Our curriculum is based on our belief that children learn best by playing. The Prekindergarten Program begins at 9:15 and ends at 12:30 pm. Their schedule follows the same order as the one above, but has additional time during circle time and centers. 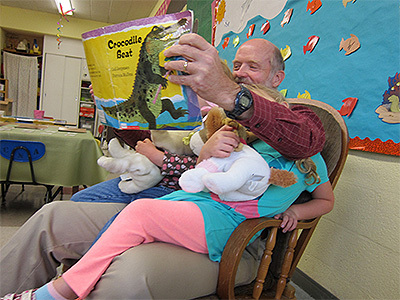 By joining the Catonsville Cooperative Preschool, you become a part of the co-op community. In addition to the daily activities in the classroom, there are many opportunities for additional involvement with both your child and other co-op families. Special school events include Donuts with Dad, Grandparent's Day, and Mother's Day Tea, in addition to seasonal special events in the classroom. Throughout the school year and summer, families are invited to attend play dates and playground meet ups. Not only does this provide the children with the opportunity to play together outside of the school setting, but parents are better able to get to know one another. Several events are planned throughout the year for just the parents as well. These include events as simple as meeting up at a restaurant to attending a private art class.